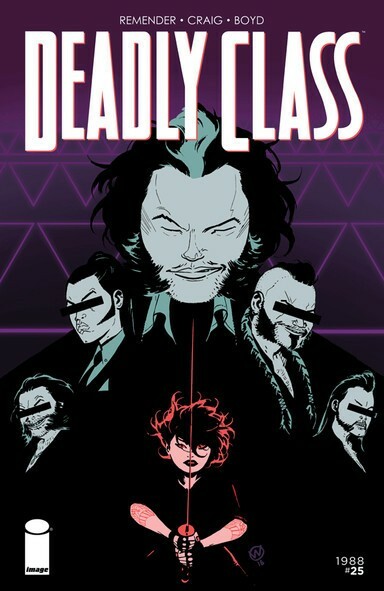 Deadly Class and its student body of amateur assassins are currently storming small screens through SYFY's kinetic show, the second episode debuting tonight at 10 PM Eastern. (Watch the pilot for free online.) But for those yearning for some extra credit, the tortured teens of Kings Dominion Atelier of the Deadly Arts have extensive backstories fleshed out through the comic epic—which reached its psychedelic 36th issue earlier this month. 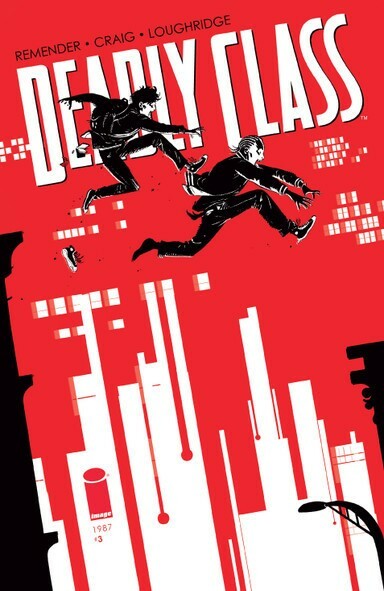 Discover the trials that led these kids into malicious criminal organizations and underneath the streets of San Francisco, where they discover that the worst threats come from within their own ranks. 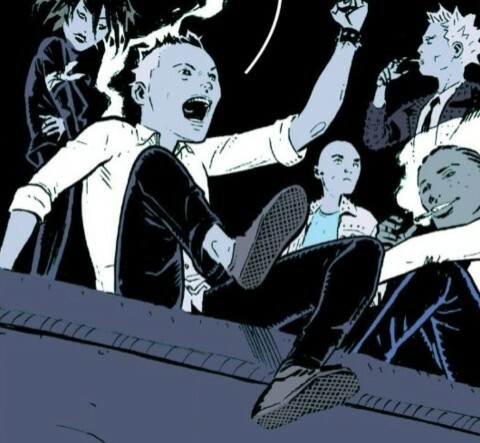 For more backstory on the Deadly Class world created by Remender and Craig, check out the previous feature, Deadly Class 101: What You Need to Know About Rick Remender and Wes Craig's Brutal Comic Book Epic. 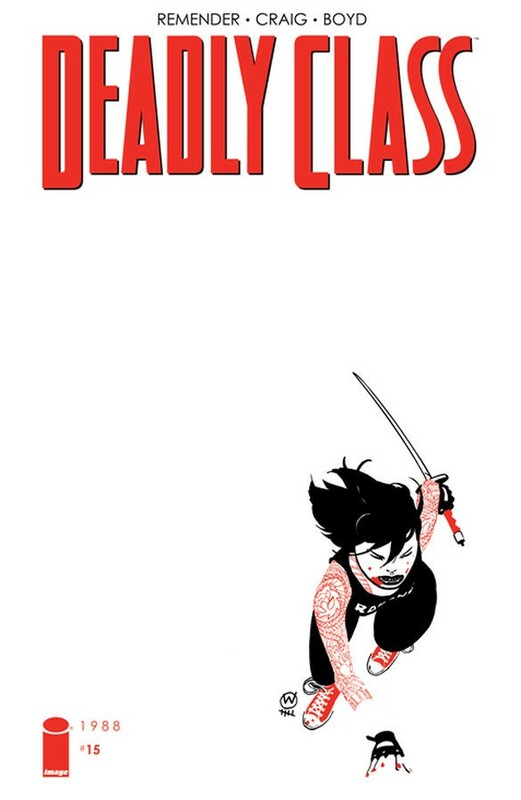 Spoiler Alert for all things Deadly Class. 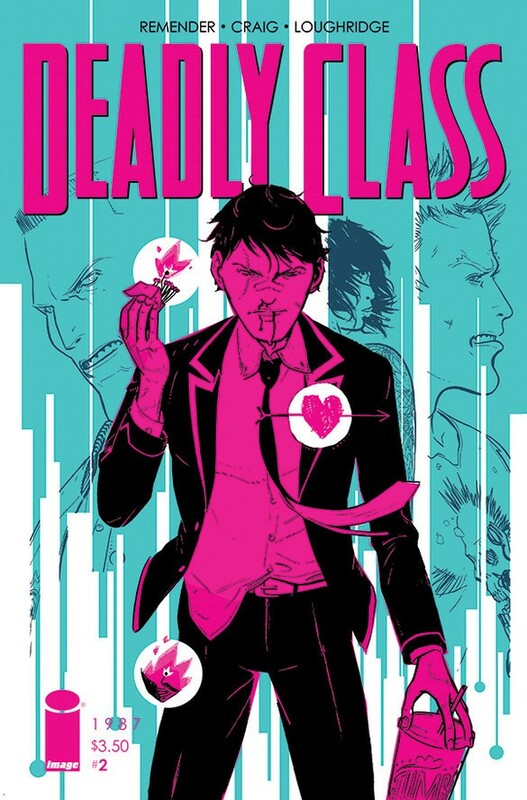 The lead character of Deadly Class, Marcus' suffers unfathomable loss as a child— a mentally ill woman jumps off the Golden Gate Bridge, killing Marcus' parents on impact. The State of California sends the new orphan to Sunset Boy's Home, a secret sweatshop where the headmistress, Mrs. Ranks, forces the children to knit for 13 hours a day, seven days a week. To retaliate, Marcus hides needles in his cheeks to create a homemade bomb he learns to build after reading his roommate's copy of The Anarchist Cookbook. That roommate, the vile Chester, would later become one of Marcus' most devastating foes. 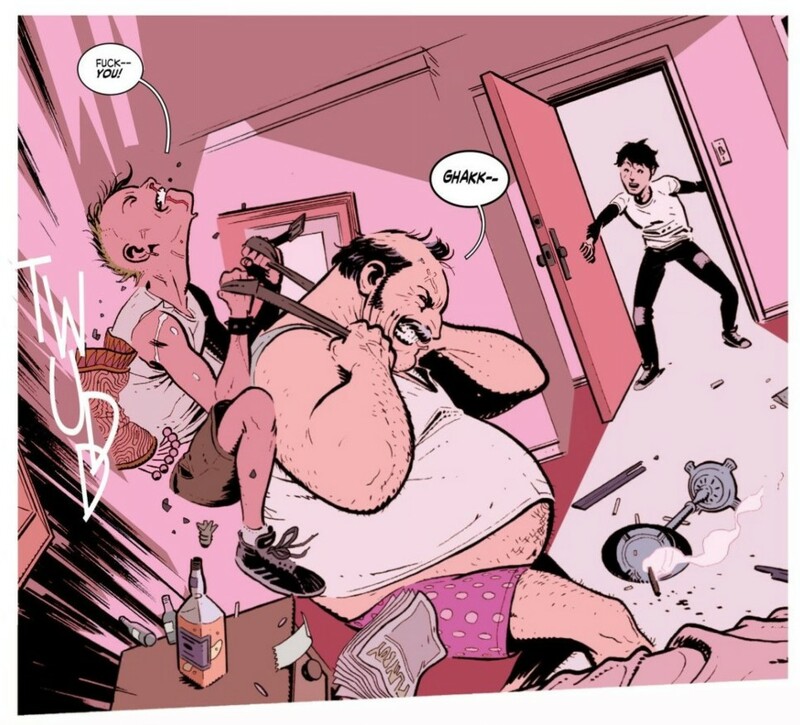 Marcus incapacitates Chester and subdues two guards with his bomb, chaining Ranks to a desk and threatening to expose her child-exploiting orphanage. The actual fallout turns out to be far more bloody and unexpected. Homeless, Marcus flees into San Francisco, living off the streets before Maria, Saya, Willie, and Kendal rescue him from a police raid. Master Lin, the headmaster of Kings Dominion, offers Marcus tuition-free enrollment in his school. After initially refusing, Marcus accepts the offer. Marcus' first love at Kings Dominion, Maria associates with the Soto Vatos gang alongside her boyfriend, Chico. But that toxic relationship punctuates a tragic past between Maria and Chico's father, the cartel crime lord El Alma Diablo. As a young child in Juárez, Mexico, Maria's father, Gilbert, is caught stealing food to feed his family by El Alma Diablo. 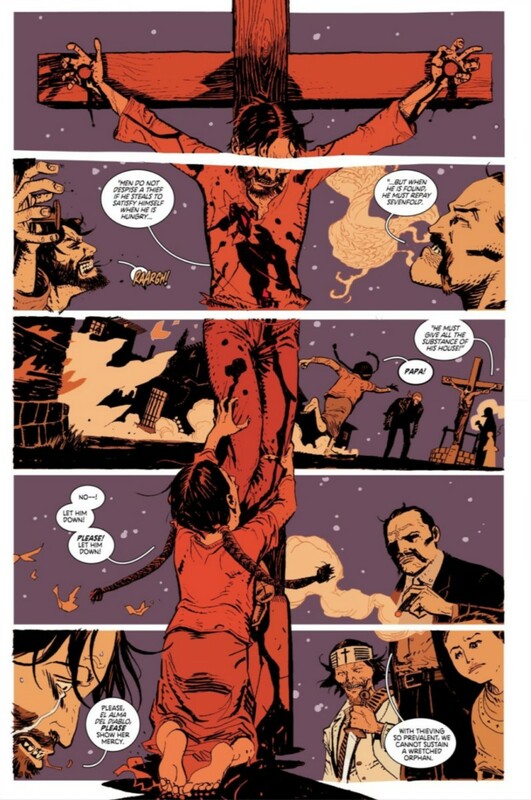 In retaliation, Diablo sends assassins to incinerate Maria's family, culminating with Diablo crucifying Gilbert in the town square. Chico, the same age as Maria, pleads to his father to spare her life. Diablo accepts Maria into his family, raising her and using her as a mule to transport drugs across the United States/Mexico border. Maria and Chico eventually enroll at Kings Dominion, where Chico—the leader of the Sono Vatos—jealously guards Maria as her resentment toward her boyfriend and his family builds. The descendent of samurais, Saya Kuroki is the daughter of a powerful Tokyo Yakuza syndicate boss. Saya's father demands that his daughter avoid his criminal legacy, sending her to a school where she sets up an impromptu gambling ring. Later, Saya's brother, Kenji, argues with his father and neighboring Yakuza boss, Eto, to introduce drugs and human trafficking into their operations. Eto and Kuroki senior refuse, enraging Kenji. At a club frequented by various second-generation Yakuza members, a group refuses Kenji's company, claiming he's too poor. Saya approaches that same group, flashing a wad of money earned from her illegal gambling racket. 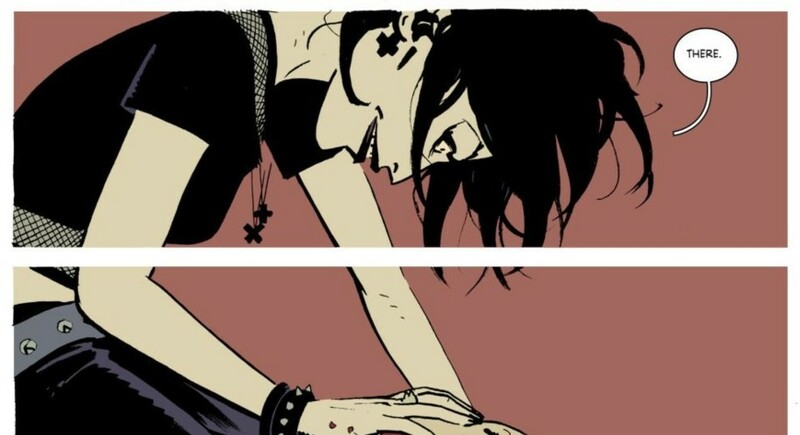 The clique accepts her into their ranks and allows her to cover her back and arms in irezumi, or traditional Japanese tattoos, marveling at her lack of response to the painful ordeal. Enraged, Kenji slaughters Eto and frames Saya for the assassination. When Eto's syndicate demands justice, Saya's father performs a ritual suicide, or seppuku, as penance, acknowledging that Kenji killed Eto. Years later, Kenji operates the Kuroki syndicate with a merciless fist, and returns to the United States to retrieve his baby sister and kill her classmates. Willie is the leader of the F.W.O., or Final World Order. The South Central Los Angeles gang regards Willie's father as one of the "most respected OGs of all time." Willie is also Marcus' first friend, scolding him for listening to indie rock like The Smiths and advising him to listen to hip-hop including Eric B., Rakim, Public Enemy, and LL Cool J. Marcus and Willie pair up for Kings Dominion's first assignment—to murder a vagrant. Willie tells Marcus that he killed five gangbangers before his 12th birthday when a rival gang stormed his house and murdered his father. After Willie hesitates to shoot the vagrant, he confides that he's never killed anyone. In the previous incident, Willie's Uncle Russ had killed the intruders and left the gun with his nephew so he could gain a reputation, leading to his induction in a gang and eventual enrollment in Kings Dominion. Billy Bennett is a mohawked punk fan who smokes cigarettes with the rest of Kings Dominion's outcasts, including Willie, Petra, Lex, and Marcus. Billy is the son of a crooked cop with a gambling addiction, who tells his son that the only reason he was conceived was to keep his wife/Billy's mother from leaving him. Billy's father continually abused his wife and put down his son, leaving him craving his father's affection. When Marcus, Saya, and Maria take an impromptu trip to Las Vegas and the Circus Circus hotel, Billy joins, inviting Marcus to help him kill his father who's staying at the same hotel. Petra has a proficiency for developing devastating poisons and dresses in classic '80s goth attire, including fishnets and teased-out midnight black hair. Petra's parents were both devout Christians who fell into a death cult, eventually separating themselves from their parental duties as their daughter was forced to fend for herself as they threw violent and sexual gatherings. On her 11th birthday, Petra finds her mother's eyeballs in the back of her refrigerator. Her father forces Petra to look into her mother's disembodied green eyes, telling her, "I watched as she died, watched as her soul fell. Once you see it leave, Petra, it gives you strength and you no longer fear death." Petra becomes romantically involved with Marcus during a party after Maria inexplicably vanishes and Saya begins to date Willie.